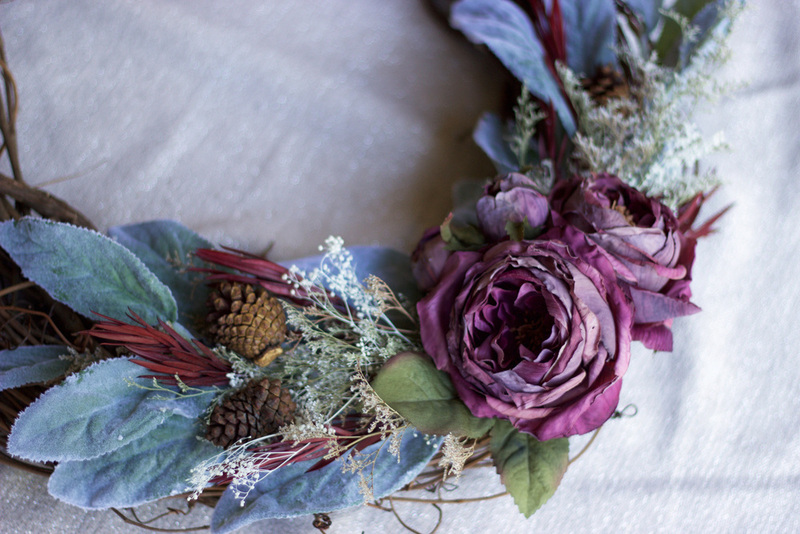 I have really been feeling these colors lately, and I am loving this color palette for the holidays. Last Christmas I was all about gold, but this year I am leaning more towards this palette - dusty miller greens, aubergine, muted red and greys. 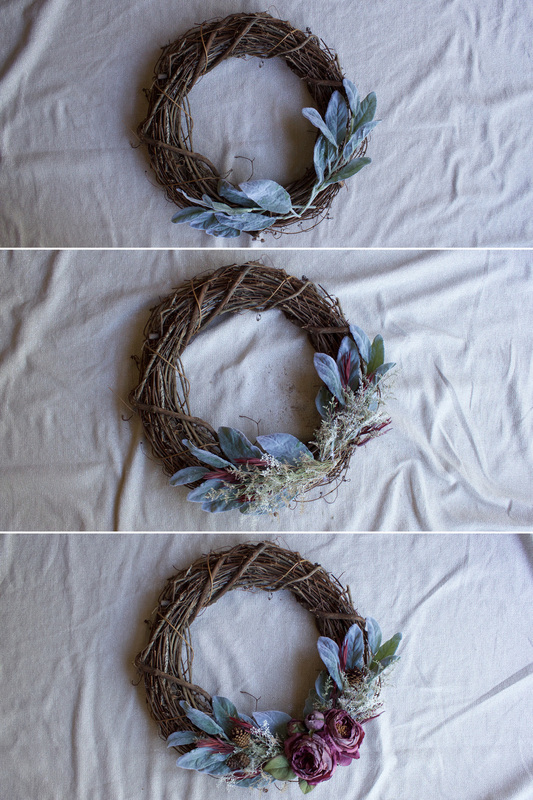 This wreath has both dried flowers and faux flowers, and it was really easy to put together. I got all the materials at Michael's and assembled it using a glue gun. I really liked how it turned out!